In these final readings for the book of Exodus we have displayed for us the most awesome symbol of the Jewish faith, the symbol of the Menorah. It can be argued that historically the only true symbol of the Jewish faith and Israelite sovereignty is the Menorah, the candelabrum of the Mishkan (Tabernacle) and Temple sanctuary. When most people think of Jewish symbolism they first consider the use of a star. The Jewish adoption of the hexagram, popularly known as “the Star of David,” only dates to around the 17th century. 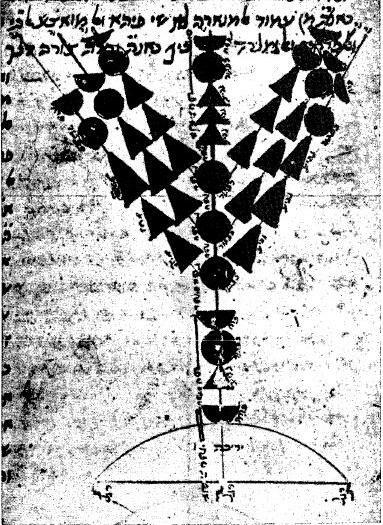 The star was likely chosen from among the general mystical symbol utilized in amulets and ornamental designs in manuscripts, but it was not uniquely Jewish in origin and has great significance in Hinduism and Islam as well. Though not all examples of mystical stars were hexagrams (six-pointed stars), use of the pentagrams (five-pointed stars) was also common in the middle-ages. The use of geometric shapes hails back to a time when geometry was considered a display of divine harmony and natural balance. Though geometry appears in everyday life most often its practical applications are ignored, to the illiterate ancients it was a knowledge mostly held by the philosophers and mystics who celebrated it the architecture of the people’s palaces and temples to their gods. Thats how they would have recognized this type of iconography, these shapes transcended sectarianism. However in the symbol of the Menorah we find a purely Torah based sign that is uniquely Jewish, its origins are found in Exodus. It also seems to be a display of natural harmony. Seven arms that correspond to the planetary spheres of geocentric astronomy, and seven lamp bowls corresponding to each day of the week. Seven is a number that represents creation, there are seven words in the first verse of Genesis that begins the expression of the creation of heaven and earth. 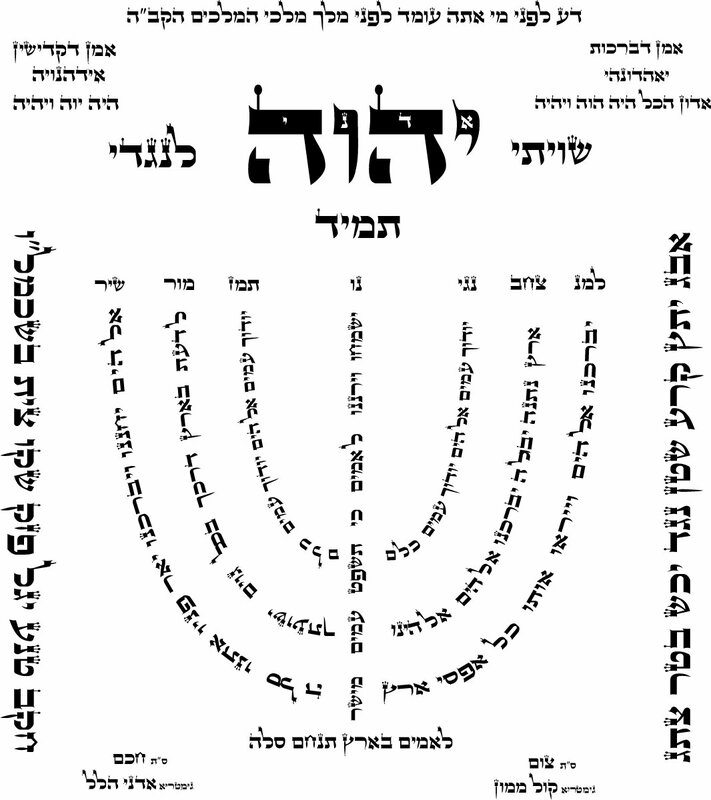 There are twenty-two reservoir cups, one for each of the letters in the Hebrew alphabet; mystically we are taught the whole universe is created by combined letters of the alphabet. The Menorah does have symbolism implied in its composition. But as a whole it is a symbol that is more recognizable to us as a religious sign of the presence of G-d and also as a nationalistic symbol in the secular culture. It is historically the primary symbol of Jewish identity, and therefore is also the seal of the modern State of Israel. 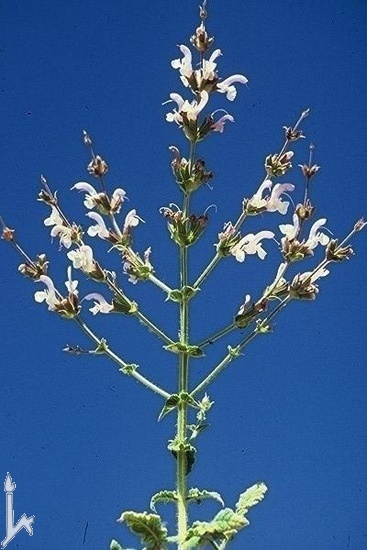 The Salvia Palaestina: Did you know that the Menorah is thought by many scholars to be modeled after a native holy land flouring bush? Even in its form it testifies that it is a native Israelite symbol. Though a description of the Menorah’s construction is found here in this section of Torah, we are not exactly sure what it looked like. The Torah does describe the item in almost anatomical detail, but unlike the other items of the Mishkan we do not receive the exact dimensions. Even in the finer details we find that the Torah just gives us approximations and figurative speech. The only thing we are exactly sure of is its weight, it weighed one mass of gold that was beaten into shape. Hollow in form, it was one mass piece of gold weighing one talent (approximately 100lbs), hammered into shape. It descriptions is ambiguous at best, despite all the words it uses to deliver these instructions. 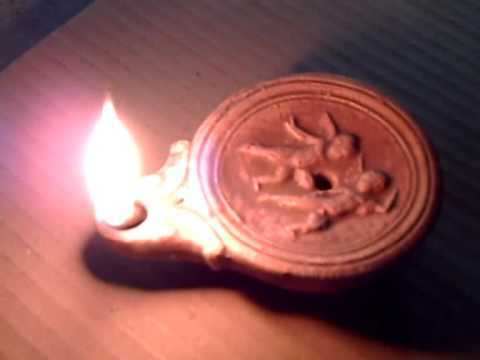 Comprehending the Menorah by description alone is so difficult that in Rashi’s final note of commentary regarding it he is going to raise the Midrash Aggadah that claims the Menorah was formed at the command of G-d, the gold was thrown into the fire and it formed itself in the appropriate manner. (see Midrash Tanchuma, Beha’alothecha 3) It’s as though the rabbis cutely assume because with all the instruction Moses gave, if they couldn’t figure it out it’s because he couldn’t figure it out either, so he got help. This part of the task therefore becomes like the school science project where most of the work is done by the parent, and the kid is seemingly clueless as to how to describe it when it comes time for presentation. The fact is there has always been some level of ambiguity about the Menorah’s form from the beginning. Oddly when the Temple of Solomon was constructed it doesn’t appear to have Menorah at all. Instead we are told he had 10 individual lamps made that stood in the sanctuary (2 Chronicles 4:7). 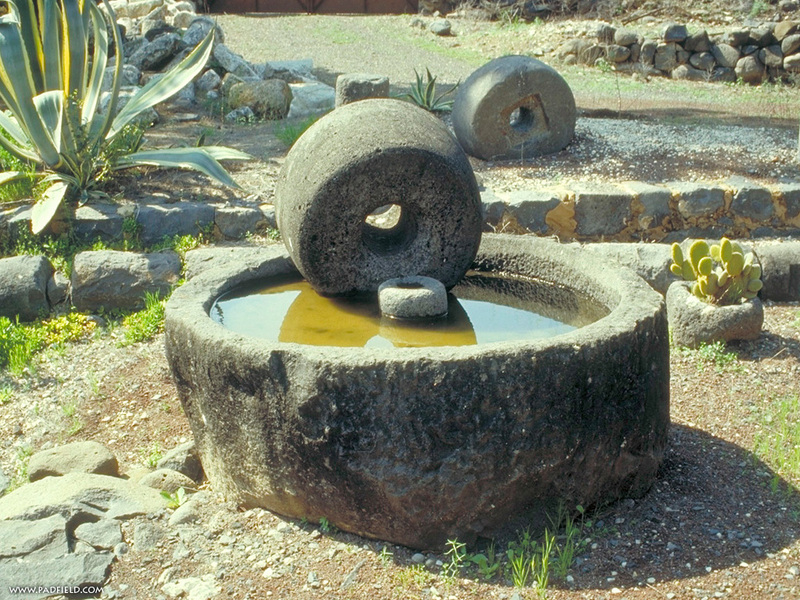 During the Second Temple period it appears that the symbol of the Menorah returned and stood in the Holy of Hollies until it was taken as booty by the Roman conquerors. 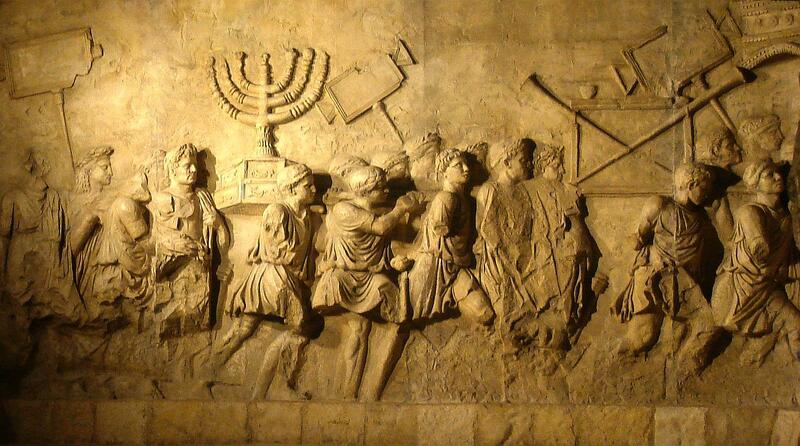 Most of what we assume about the form of the Menorah actually comes from the Arch of Titus in Rome that memorialized that defeat as a Roman victory. 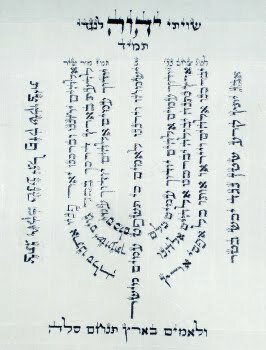 The Rambam’s Menorah: Rabbi Moshe Ben Maimon (1135-1204 CE), taken from the original manuscript of his commentary for Mishneh Torah, Menachot 3:7. However, this image of the Menorah is contested by the rabbis. You see is also painstakingly detailed by the Rambam in his Mishneh Torah. He explains the finer details of the Talmud regarding it. Unlike the Roman depiction which displays the arms as round, the Rambam presents each of the protruding arms as straight and then adorned with the flowers, buds and cups. The Rambam is very clear about this. And when I say he presents it in this fashion, I mean he actually offers more than just mere words. He has also provided an infamous diagram for us in his manuscript. 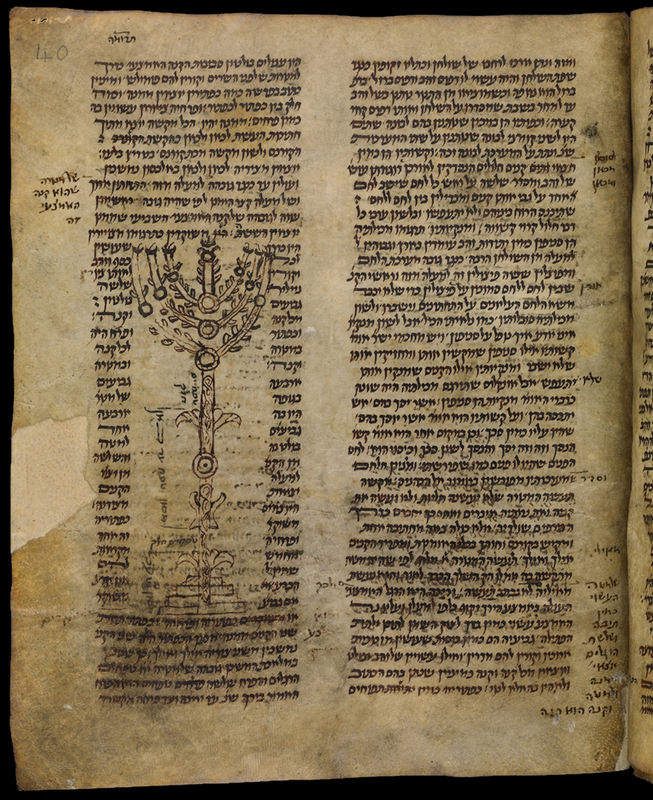 Though many editions of the Talmud and other authoritative rabbinic works are known to occasionally have diagrams, they are quite rare in the classical age. We are not sure exactly how far back the Talmudic drawings of things such as gates, arches and eruvin go back. However, most of us naturally assume that they are compiled along the way as additions, thus explaining why even in manuscripts they are scribbled in the margins. However, we do know that the Rambam’s drawing both here, and possibly another that depicts the layout of the sanctuary surrounded by the tribes, as authentic in his own hand. Interestingly, the Rambam is not the only rabbinic commentator that seems to have accompanied his teaching with drawings. In the margins we find that Rashi also included pictures. He seems to have included depictions of the Temple instruments and the Land of Israel. Though the drawings do tend to vary in shape and size from one copied manuscript to another. We do not have what we would consider an “artists original” to draw from for Rashi’s diagrams. Nor are we sure if they are original in the works, there are many scholars who attest to drawings being present in the manuscripts of their day. However, strangely they are almost never mentioned in the most famous commentaries upon Rashi that are generally known of today. One may figure that his most attentive followers would have mentioned them if they were authentic. We just aren’t sure one way or the other. As critical observers of rabbinic literature we can get a great deal of leading by examining the diagrams that have been handed down to us. 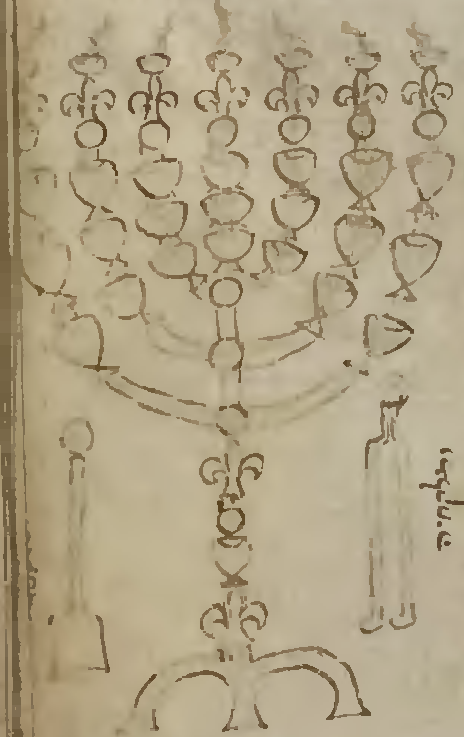 Whereas the Menorah drawings do seem to have a niche in the margins carved out for them making them appear intentional as an accompaniment of the text, the maps are less embedded and seem more like embellished diagrams by later students of the commentaries. This is especially more so for the Rambam’s maps that appear to drop into many manuscripts in the mid-13th century. Even if the drawings and diagrams of the classical commentaries are not ancient, only dating back to the middle-ages, they do tell us a lot about the mentality of the commentary they accompany and the values that were in the mind of the scholars that helped compile these texts. When I was a new student in college one of the first classes I took was Art. I wasn’t artistically gifted myself, mostly taking the class for general education credit. I arbitrarily started with gothic and middle-ages, the age spanning right about the time of our master rabbis the Rambam and Rashi. I was intrigued as I watched art turn from crude vagueness to vibrant realism. I didn’t learn a lot about how to put art together, the skill of art. But what I did learn was the theories and history of art. One of the things that was stressed was for me to learn about the motivation, even more than the composition itself. My professor constantly stressed to me, “Art is never created in a vacuum;” meaning that the way art is displayed in any given age is a reflection of the values and philosophical process that brought that to fruition as an artistic concept. That idea didn’t come out of nowhere, and just for nothing. The author here makes note in his paper that other rabbinic authors dating back to ancient times attest to sketches of the Temple and its sacred instruments (see Z. Vilnay, Ha-Mappah ha-Ivrit shel Eretz Israel, Jerusalem 1945, p. 6.). This goes back all the way to the Talmudic period, even if drawings were not always present in our bibles. Artistic depiction for instructional purposes is well established in our tradition, it’s not a new invention by booksellers and graphic artists. He asserts that the reason is to validate ones beliefs and offer concrete evidence for the Temple. It appears in this case this is only possible by displaying these sacred objects in a way that shows they are not merely imaginations but true constructible shapes. 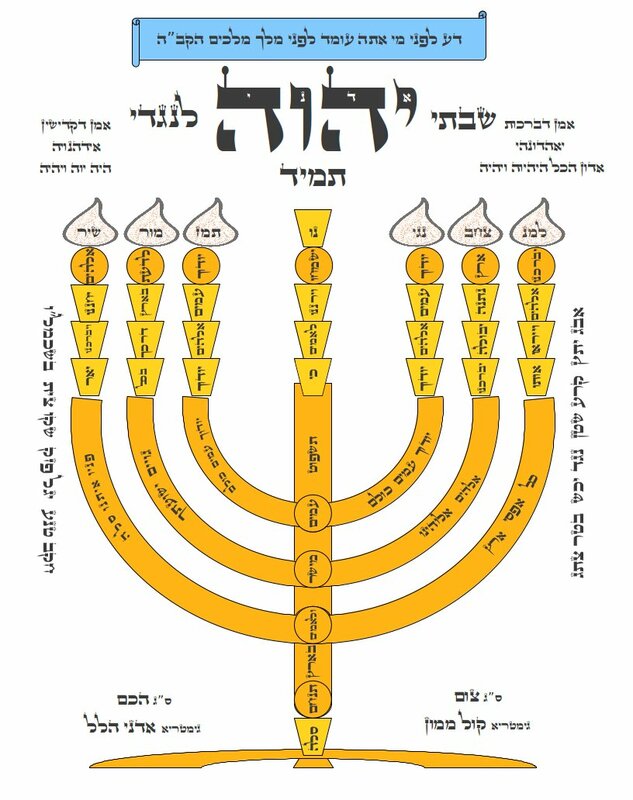 I find it very interesting this week to take notice of the rabbinic art regarding the Menorah, during a set of parashiot that talks about the craftsmanship of Bezalel and his artisans. This Torah is wonderfully refreshing, especially after we consider how fiercely the Torah has railed against graven images and idolatry up until now. Our tradition does warn against normative religious iconography and live depictions, but it does not reject artistic expression. It is not just in Bezalel that we find the employment of artistic skill for spiritual purposes, we also find our rabbis doing the same in depicting the instruments and holy land. Their depictions not only demonstrated the clear practicality of their commentary, but they also served to help draw the lessons passionately close. And sometimes this can only be done through artistic expression. Questions for this week: What type of skill or natural ability do you have? Do you have artistic skill? 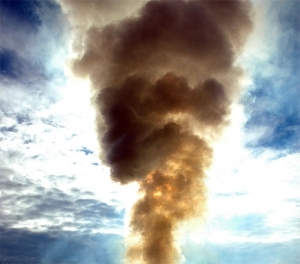 How can you use these skills and abilities to help deliver the message of Torah? 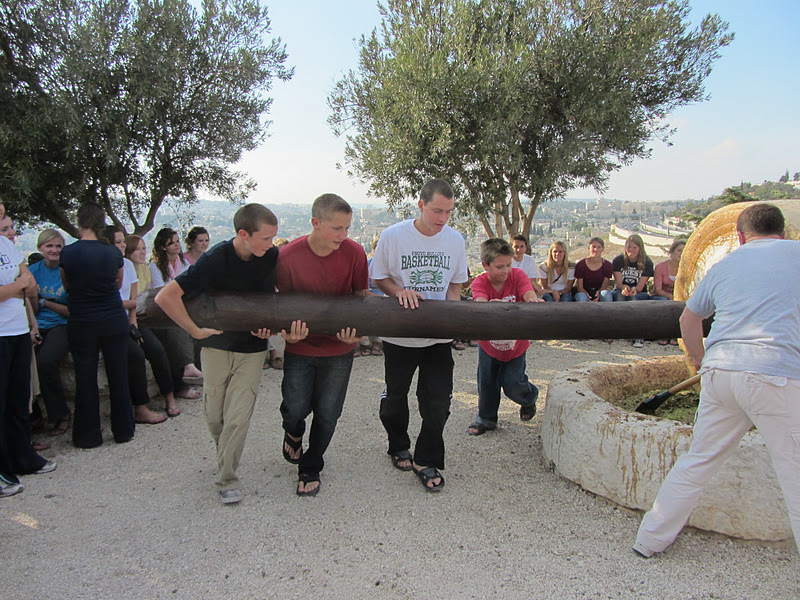 What modern mediums of art do you think best present the Torah for you? 1- E. Touitou, “Ha-Reka ha-Histori shel Perush Rashi le-Farashat Bereshit,” in: Zvi Steinfeld (ed. ), Rashi – Iyyunim be-Yetzirato, Ramat-Gan 1993. 2- A. Grossman, Hakhmei Tzarfat ha-Rishonim, Jerusalem 2001, pp. 204-207; A. Grossman, Rashi, Jerusalem 2005, pp. 3- Grossman, ibid., p. 11. Are you an Artist? What is your craft? Poetry, drawing, photography, what are you good at? This blog proudly cooperates with The Open Siddur Project. The project is a volunteer based organization dedicated to documenting and making the wealth of Jewish prayer and prayer resources available with free, redistributable licensing in electronic format and print formats. You can find my contributions of liturgy HERE. Find out how you can also be a part of this worthy cause!